Built with a heavy-duty 450 GSM Honeycomb, the Venum Elite BJJ Gi is extremely durable allowing you to train and compete time and time again without losing performance. 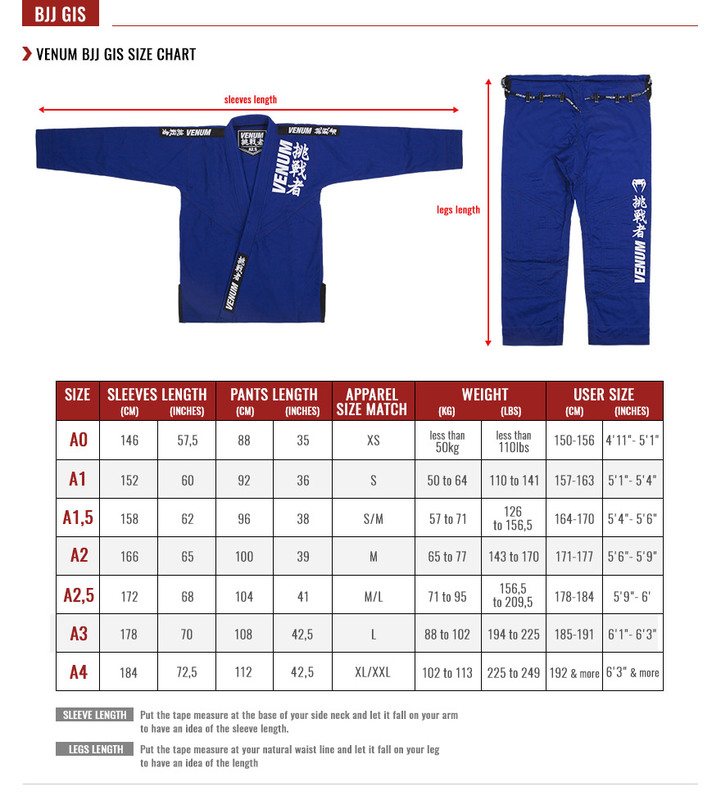 Fabricated from pre-shrunk cotton, this Venum BJJ Gi will remain at its present size. Jacket fabric: 450 GSM Honeycomb.